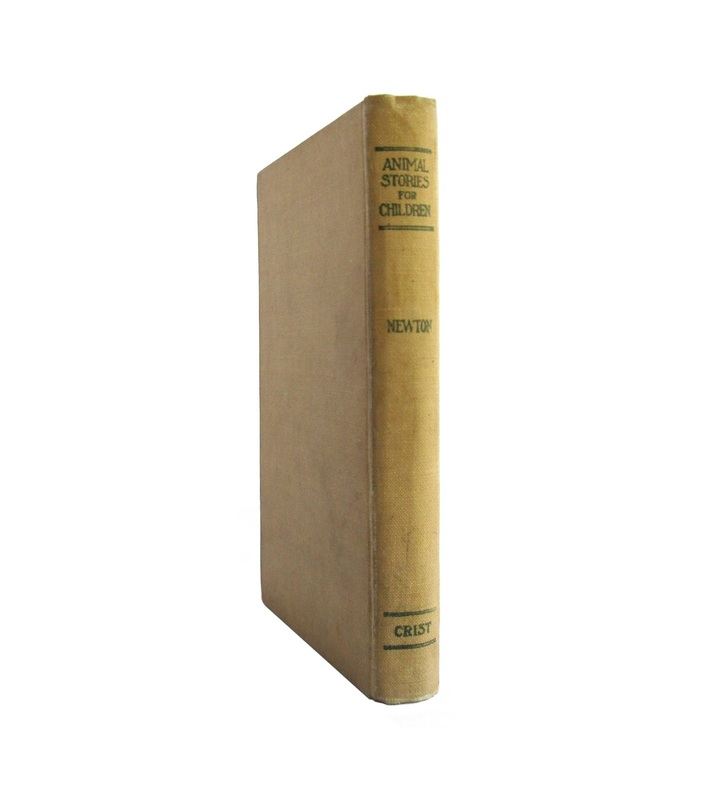 This 5 x 7.5 hardcover has 230 pages, and has some cover soil and wear. Crease at top middle of front board. 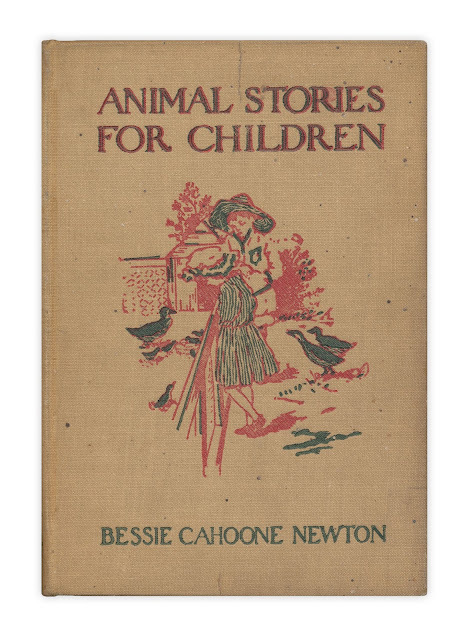 Hinges a bit loose. 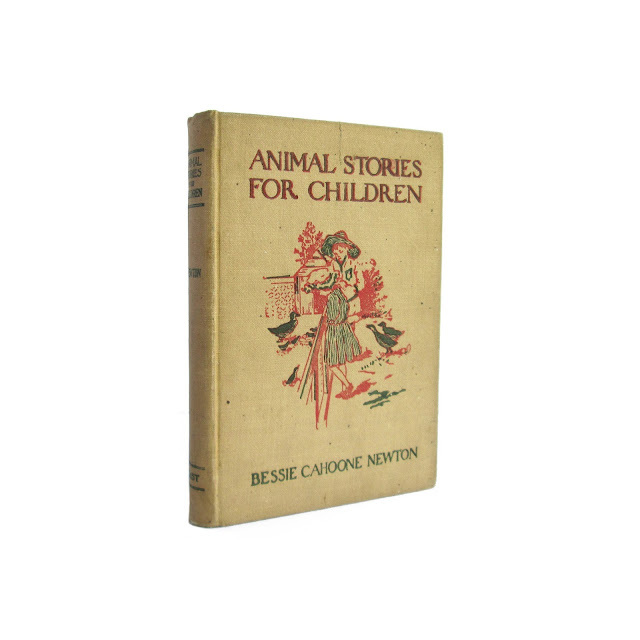 From the original publisher's catalog: "The story of The Little Runt Pig and dozens of others told as only Miss Bessie Cahoone Newton can tell them have brought to the desk of the editor of American Motherhood thousands of letters saying 'My children can hardly wait for the magazine so they can read Story Time.' Now we have collected all of these stories, Miss Newton has added twenty or more new ones, and they are made into a book for the children. 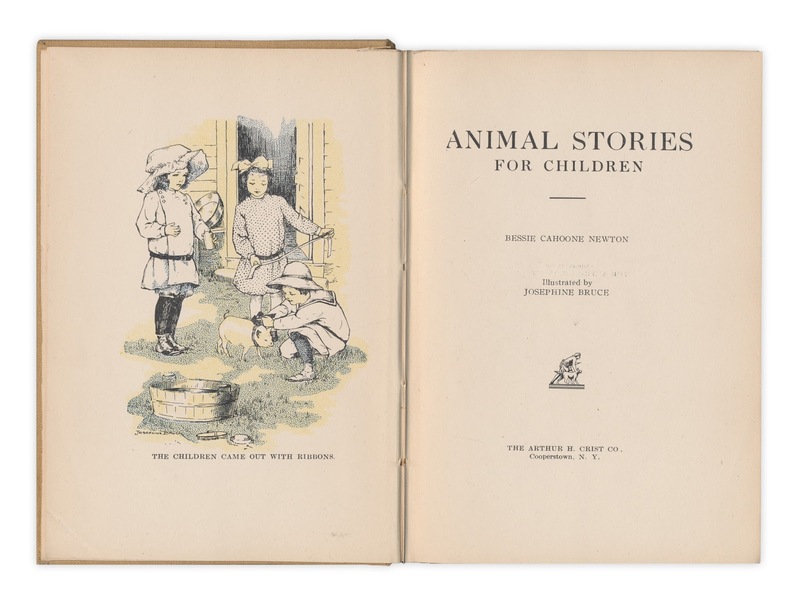 Miss Josephine Bruce, who is an adept in drawing pictures that children like, has illustrated every story and altogether we have one of the most charming children's books on the market There are nearly fifty of the delightful pictures."